Immersed in the French apothecary tradition, the artisans at Mad et Len use all raw ingredients to formulate undiluted essential oils in their ateliers in the French Alps. 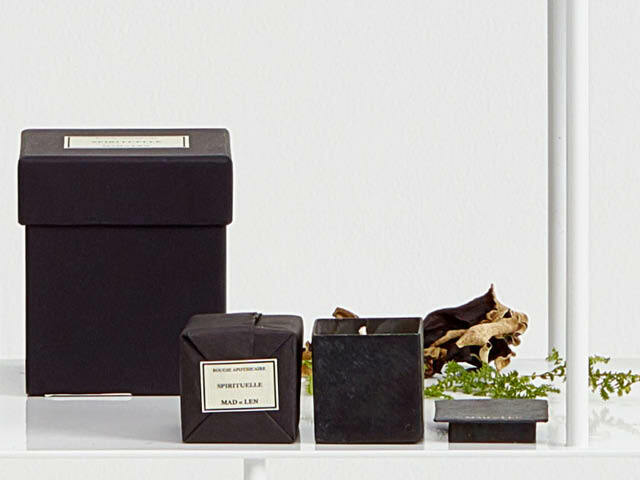 Paying homage to Proust's madeleine, the inspired scents conjure dreams about things past and distant lands, reimagining intimate and familiar elements. Handmade in small batches and housed in blackened iron vessels forged by local blacksmiths.